At the heart of Kentucky&apos;s scenic Bluegrass region, Lexington&apos;s accessibility, first-class facilities and unique attractions create an appealing alternative for conventions and meetings of all sizes and types. More cosmopolitan than metropolitan, Lexington&apos;s world-renowned sites border on the dramatic, offering fresh possibilities for the meeting experience. Our friendly convention sales and services staff stands ready to assist you with site visits, bid presentations, lead distribution and proposal collection. Choose Lexington, and our award-winning Convention Services Department helps ensure the success of your meeting or convention. Blue Grass Airport, with 18 direct flights into Lexington, is just 10 minutes from downtown. The Northern Kentucky/Cincinnati International Airport is just 83 miles away via I-75, and the Louisville International Airport about 83 miles to the west via I-64. Convenient proximity to more than 8,500 affordable hotel rooms, restaurants, entertainment and shopping, including the largest mall in the state. More than 100 restaurants and bars are within walking distance. Lexington&apos;s Convention Center in the heart of downtown is open for business, with minimal disruptions, during an exciting renovation and expansion. To be carried out in two phases, the expansion completion date is scheduled for November 2021. 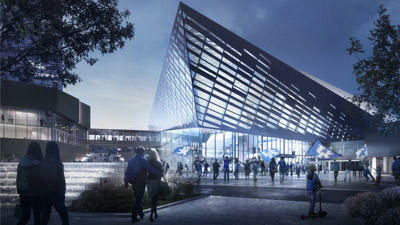 An inviting redesign provides a new exterior for the convention center and Rupp Arena with a unique transparent façade, distinctive entrances plus a park, plaza and water features. Exhibition space within the convention center will be increased more than 50% to 100,000 SF and ballroom space by 40% to 25,000 SF. 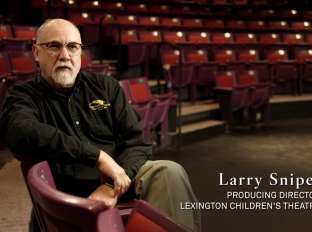 Follow the latest updates on the Lexington Center Corporation&apos;s website. Meetings utilizing the Convention Center, plus the adjoining Hyatt and Hilton hotels, have access to additional flexible meeting and exhibit space. Eleven convention hotels are within a 15 minute drive from Blue Grass Airport and downtown Lexington. Small meetings can take advantage of a variety of unique meeting spaces that reflect the charm and sophistication of our destination. The city is surrounded by beautifully manicured horse farms, where fences and green fields extend to the horizon. We can arrange volunteers to welcome guests with genuine hospitality, grace and style at information booths, and to help coordinate restaurant reservations and personalized recreational activities. 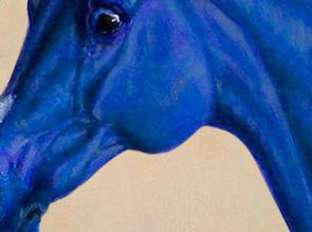 Spouse/companion programs, special events and pre and postconvention tours at "one and only" attractions like The Kentucky Horse Park are sure to increase meeting attendance. We will help you with venues and activities of interest to your attendees for their "down time". Did you know that Kentucky ranks fourth in number of sites on the National Register of Historic Places? Specialized tours are available in the technical, horticultural, agricultural, equine and medical fields. Toyota Motor Manufacturing, Kentucky, Inc. is just minutes north of the city. Lexington is home to the University of Kentucky, one of the leading research universities in the nation, and Transylvania University, the oldest university west of the Alleghenies. Are you a local resident who is a member of a club, association, or board that holds regional or national meetings? Does your company hold annual meetings? Bring them here and become a Hometown Host. 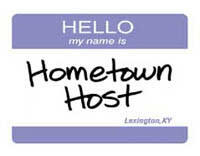 With the VisitLEX staff by your side, staging an event in Lexington has never been easier. Learn more. Need to find entertainment for your opening program? Have special lighting requirements? Need to rent a tent or a portable stage? VisitLEX maintains a Convention Services Directory with resources to help fulfill your vision for your meeting. This Convention Calendar includes a list of meetings and conventions for the current calendar year that have either been booked by VisitLEX, or have been reported to the Bureau for servicing.